Few days back I had posted a similar recipe on Gulla bhajji,but that was the boiled eggplant version and this is the roasted version.Though the recipe and the ingredients is similar the taste is totally different.My husband likes the roasted version and I like the boiled version. 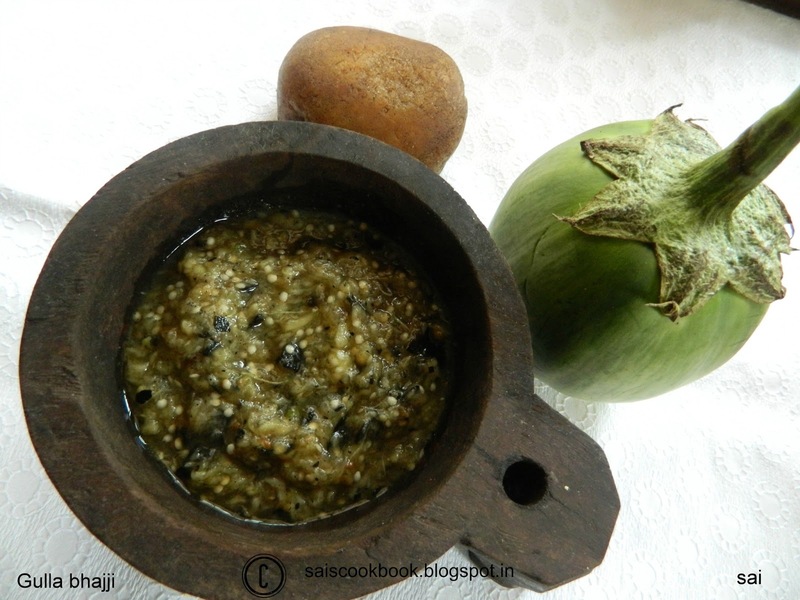 Gulla means brinjal,aubergine or eggplant.I used the green brinjal.Goes well with gruel or paez. 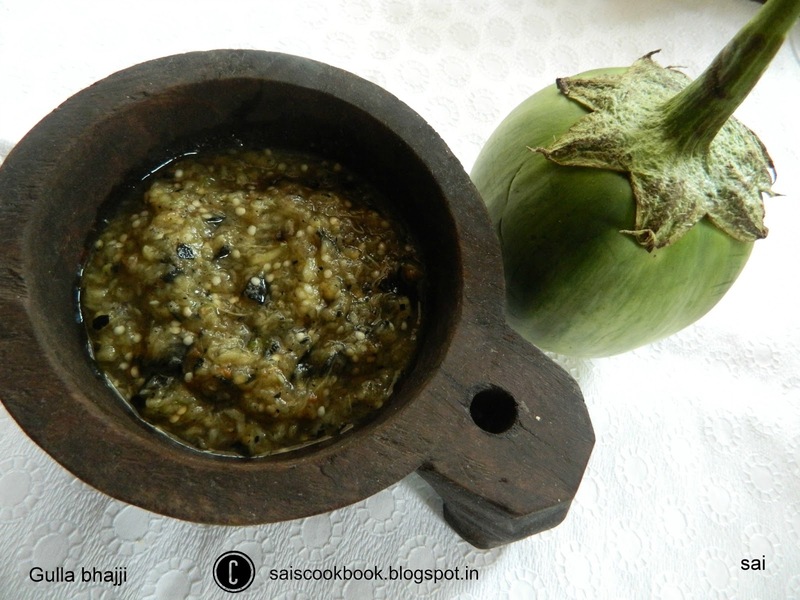 Wash the brinjal,wipe it with a towel,apply a tsp of coconut oil and roast it in direct flame until it gets cooked. (Insert a knife to check whether it is cooked,if it seems to be soft,it indicates it is done). The roasting process might take 10 minutes approx. (I used the roasting plate). Cool the brinjal and peel it completely. Smash it with your hand,add salt to taste,chopped onion,minced green chilly and coriander leaves. Add coconut oil and mix it. Use it immediately or refrigerate for the longer use. You may also add 1/4 tsp asafoetida instead of onions.